URBANA, Ill. – Corn prices continue to be dominated by expectations of a very large U.S. harvest. 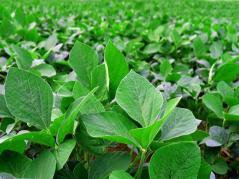 The USDA will release a new forecast of the size of the crop on Sept. 11. According to a University of Illinois agricultural economist, the market expectation is that the new forecast will be about 250 million bushels larger than the August forecast and that the forecast is likely to be larger again in October, reflecting a U.S. average yield well above trend value. With such a large harvest, the estimate of Sept. 1 stocks of old-crop corn will have less importance than was the case in the previous three years when stocks were generally small and the U.S. average corn yield was below trend value.